Tim Banister shares his testimony through a positive message on September 10, 2012. There are a lot of things more valuable than money. Good health, longevity, happiness, a loving family, self-reliance, fine friends...if you (have) five, you're a rich man. ...Reputation, respect, integrity, honesty, and a history of achievements! 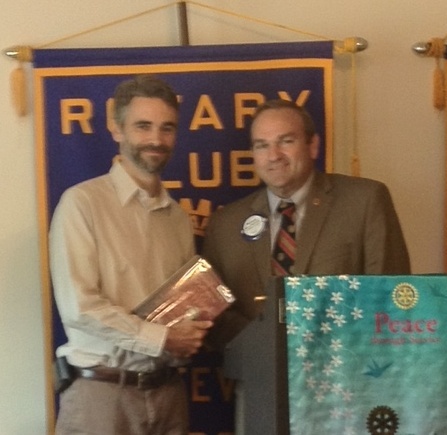 Featured speaker for September 17, 2012 was Brian Wismer, Director of Community Development, Main Street Fayetteville. that have aging commercial centers that need to be redeveloped or renovated. this item so that the voters can go in fully informed.